TODAY! Class Ring Delivery: Jostens will be at MHS to deliver your class rings during lunch outside of Student Services. TODAY! Seniors that have not ordered their graduation cap & gown can order them during lunch with Jostens representatives outside of Student Services. JV Wrestling has been scheduled in a tournament on Saturday, December 8th at Marion High School – Red Gym Start time is 9am. Students taking the ACT test on Sat., Dec 8 at MHS; the test will be given in Rm 22-001 (Study Hall). Please enter through the Main Entrance. This year the Upward Bound students are volunteering at the Muscatine Center for Social Action (MCSA) to bring awareness to their services and how they contribute to our community. We are asking for donations of new items such as: coats/jackets, undergarments, socks, gloves, pillows (machine washable), deodorant, ready-made foods, etc. This act of kindness can make a difference for those who cannot access these items. 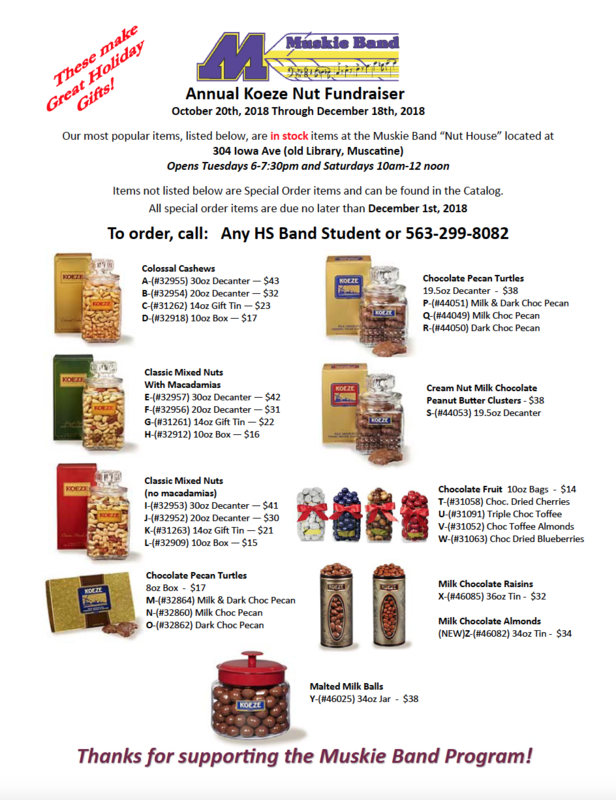 Donations can be dropped off in the Principal’s office starting Dec. 4-18.